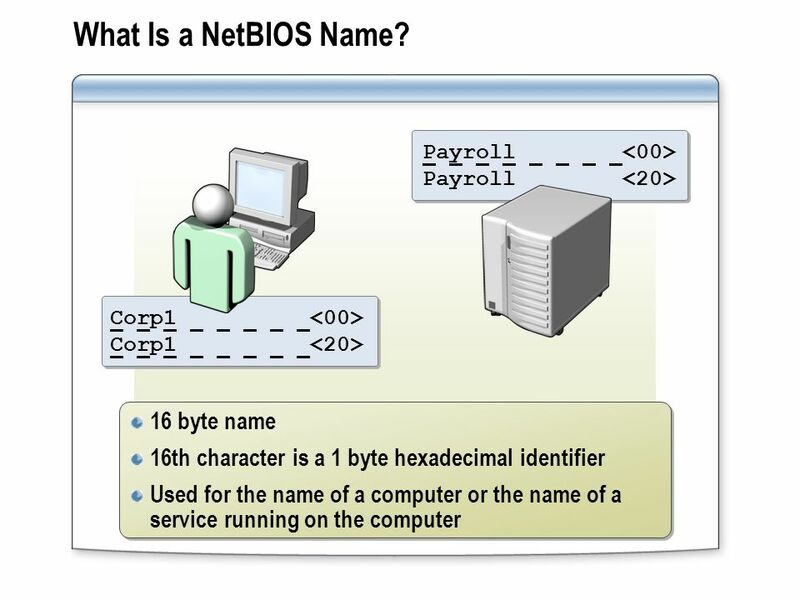 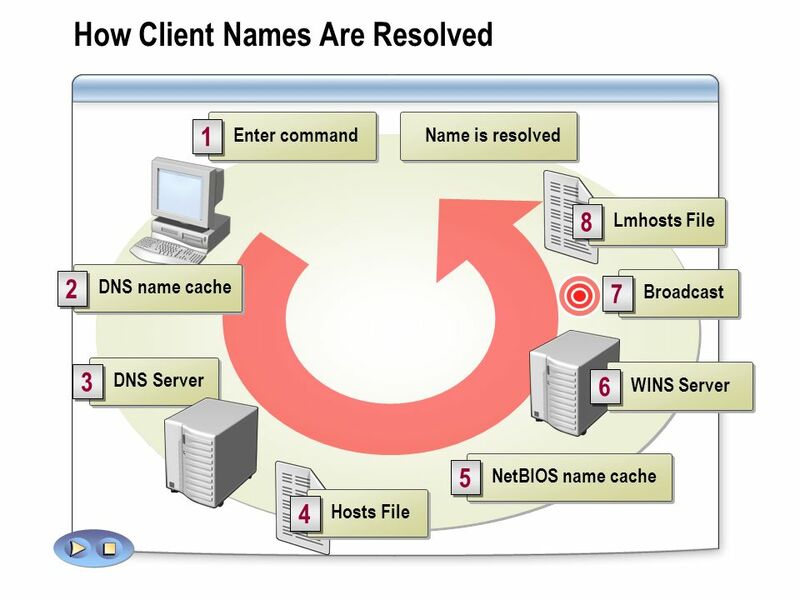 The Types of Names Computers Use What Is NetBIOS? 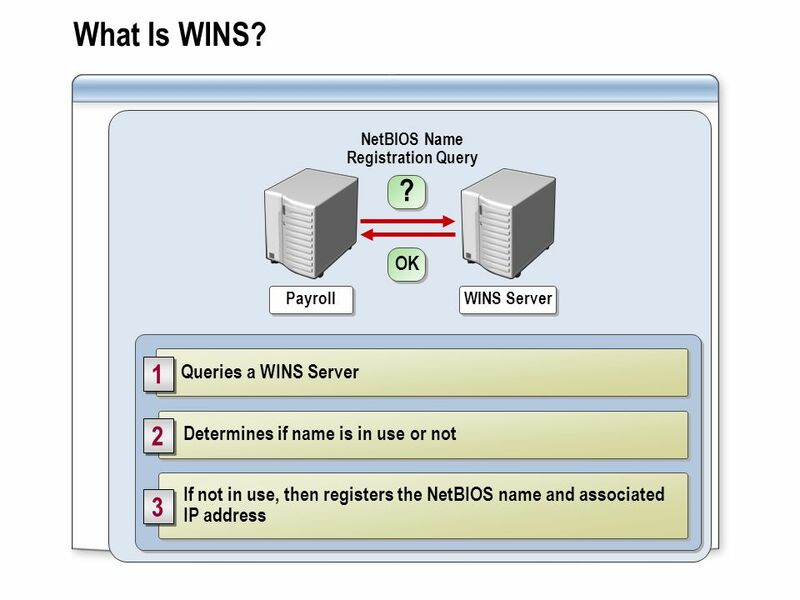 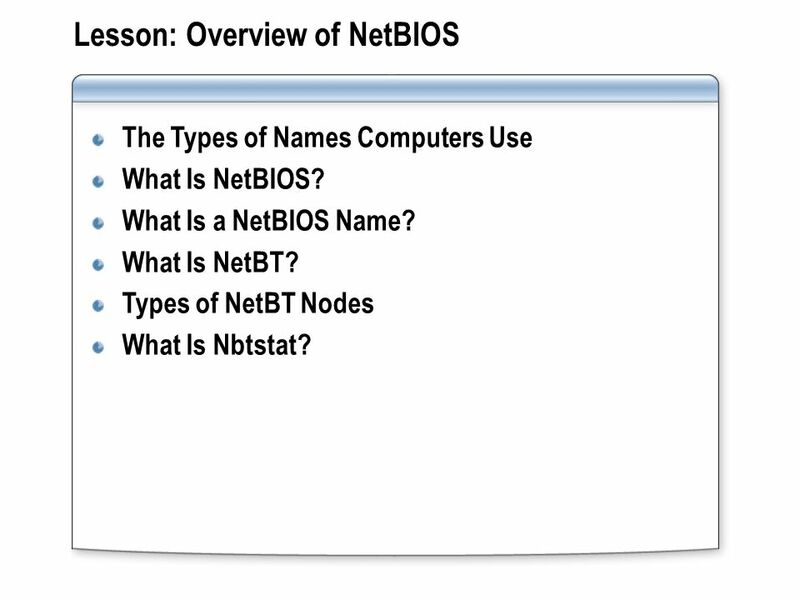 What Is a NetBIOS Name? 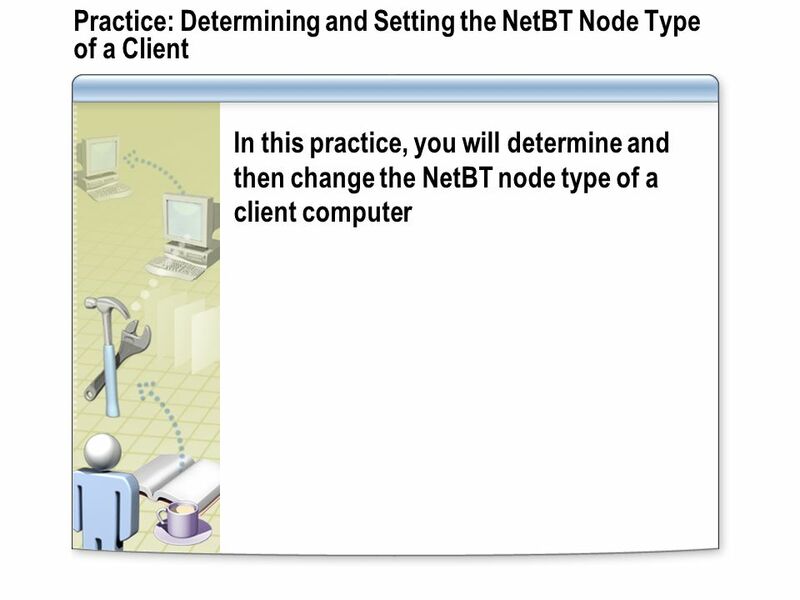 What Is NetBT? 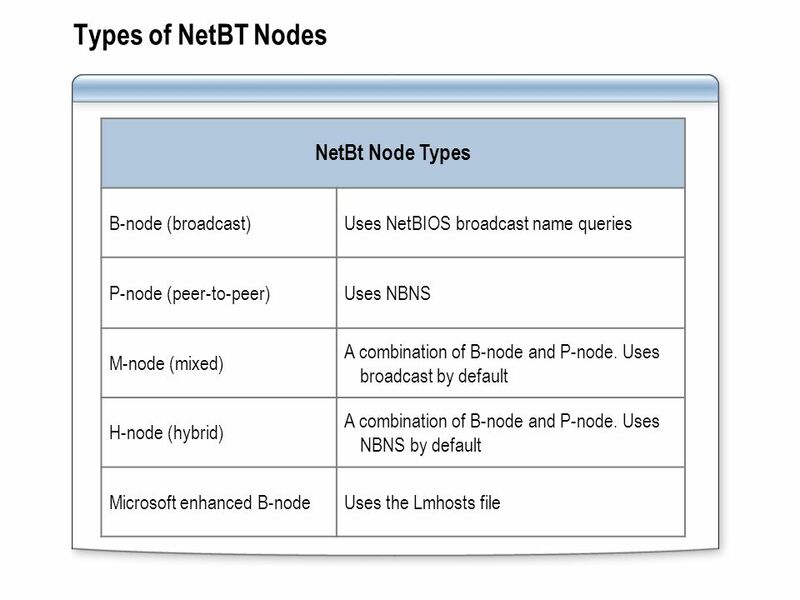 Types of NetBT Nodes What Is Nbtstat? 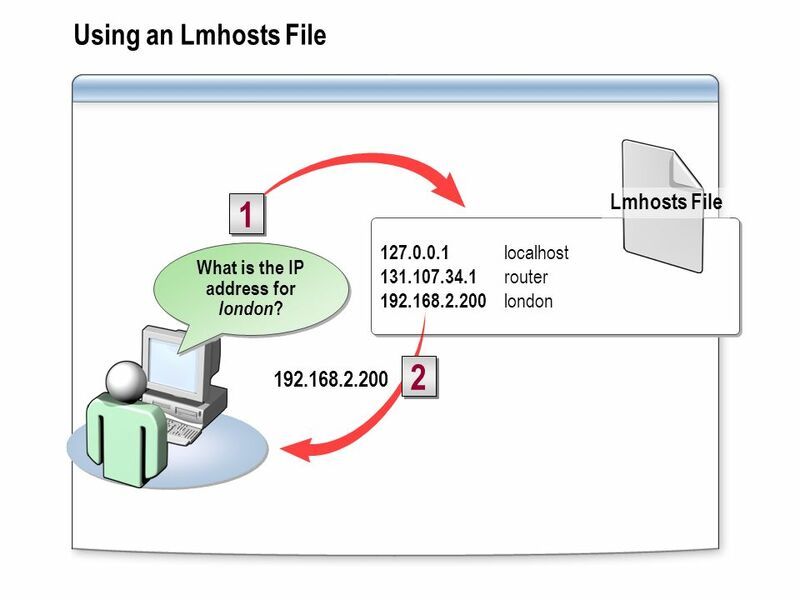 20 What is the IP address for london? 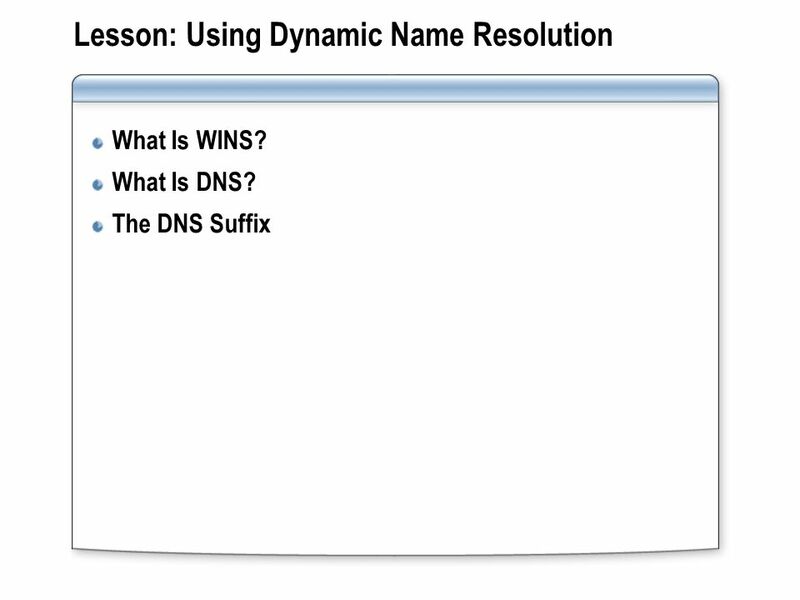 23 What is the IP address for s1? 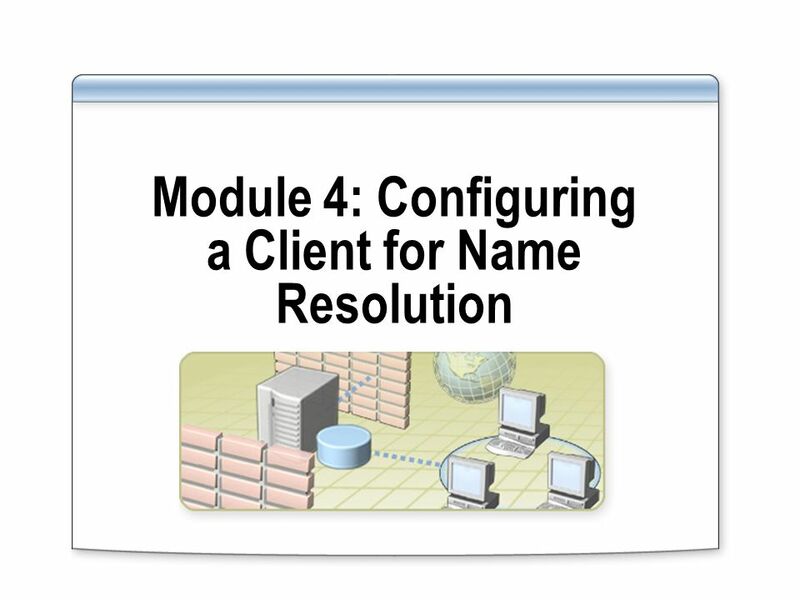 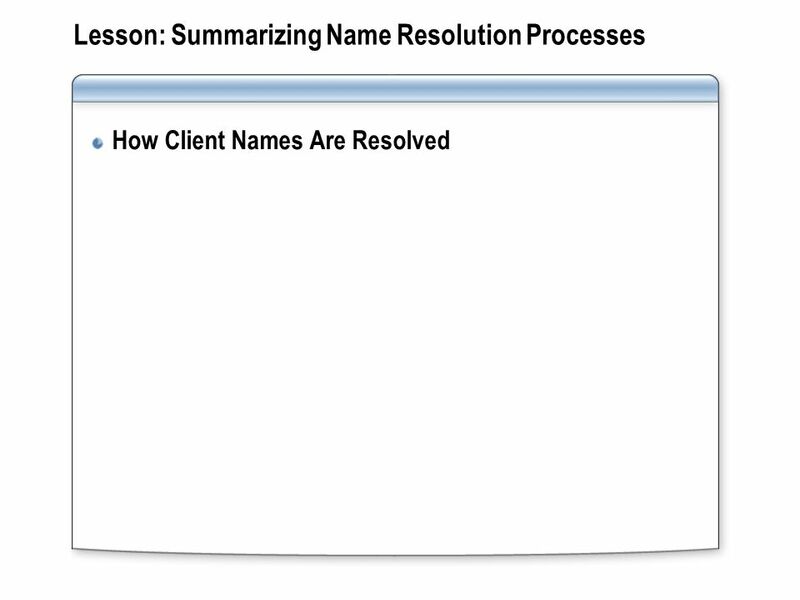 Download ppt "Module 4: Configuring a Client for Name Resolution"
UNIVERSITY OF EDUCATION BY H.M.ISHTIAQ RAFIQUE. 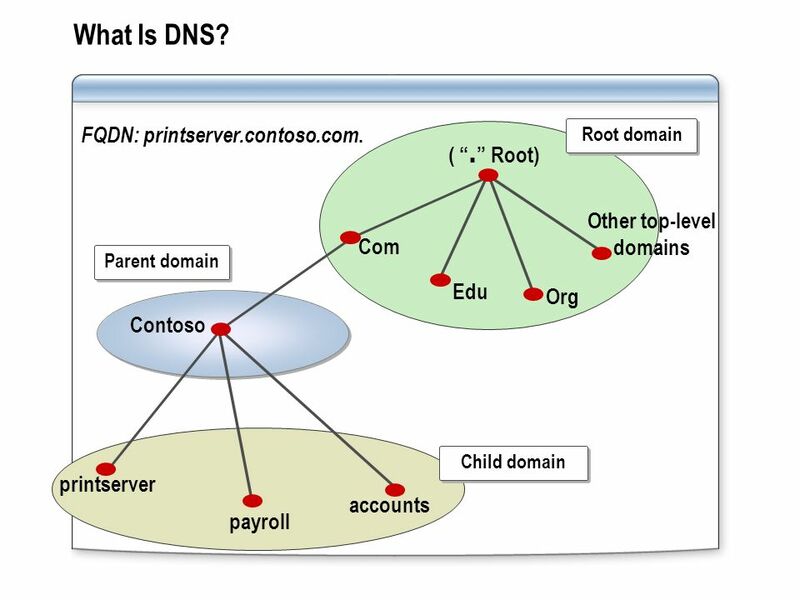 Domain Name Structure. 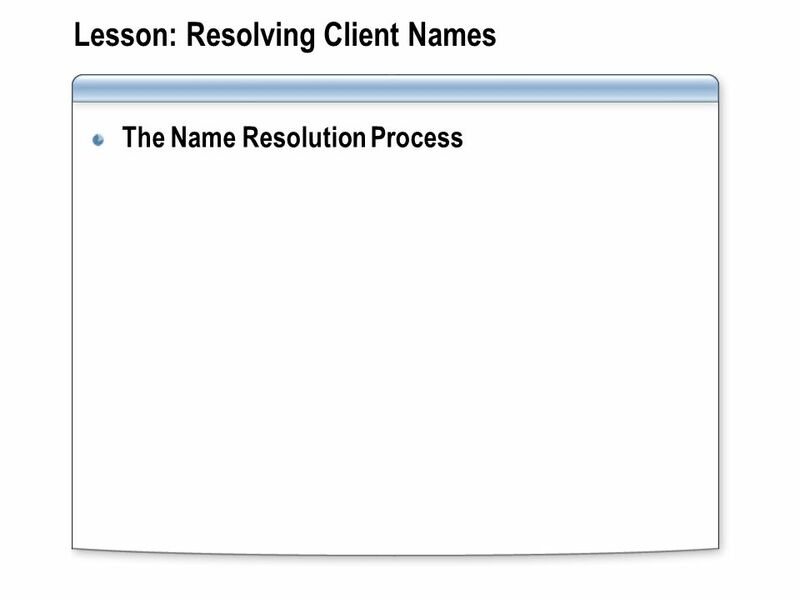 Chapter 16. 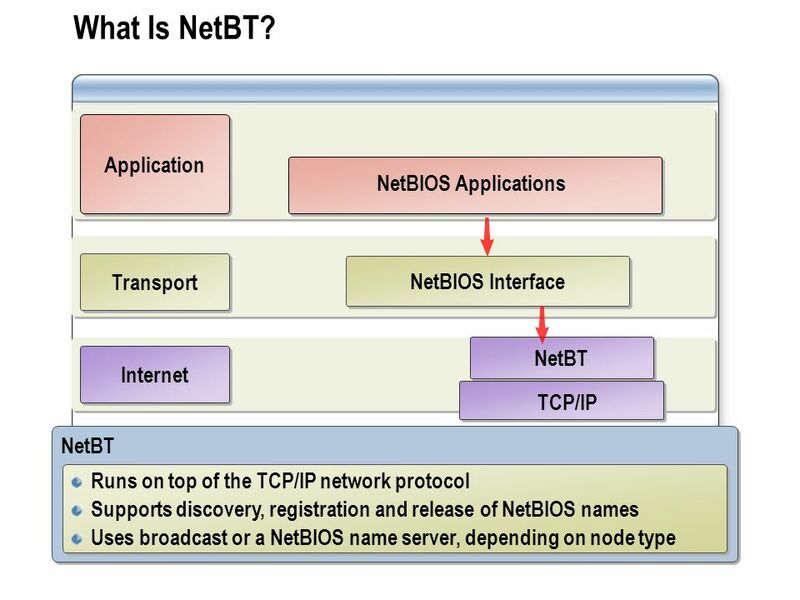 Windows Internet Name Service(WINS) Network Basic Input/Output System (NetBIOS) N etBIOS over TCP/IP (NetBT) provides commands and support. 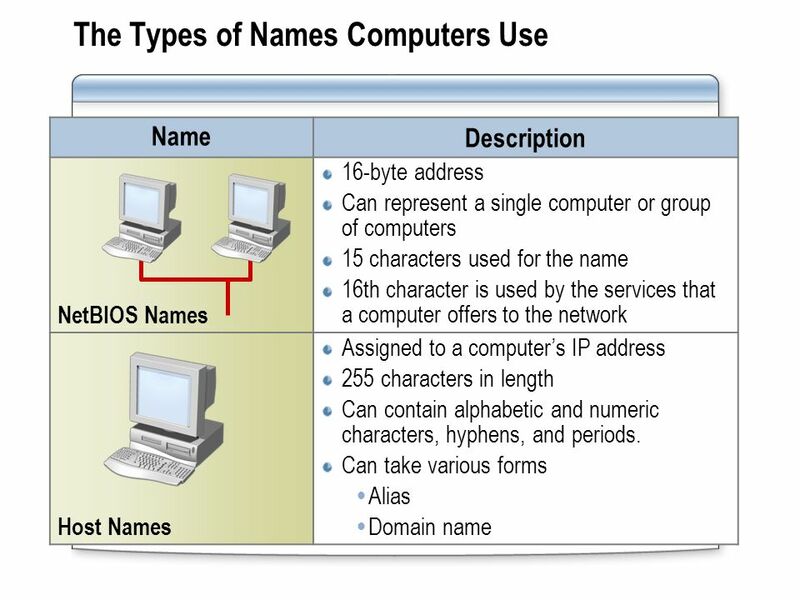 1 Network Address Translation (NAT) Relates to Lab 7. 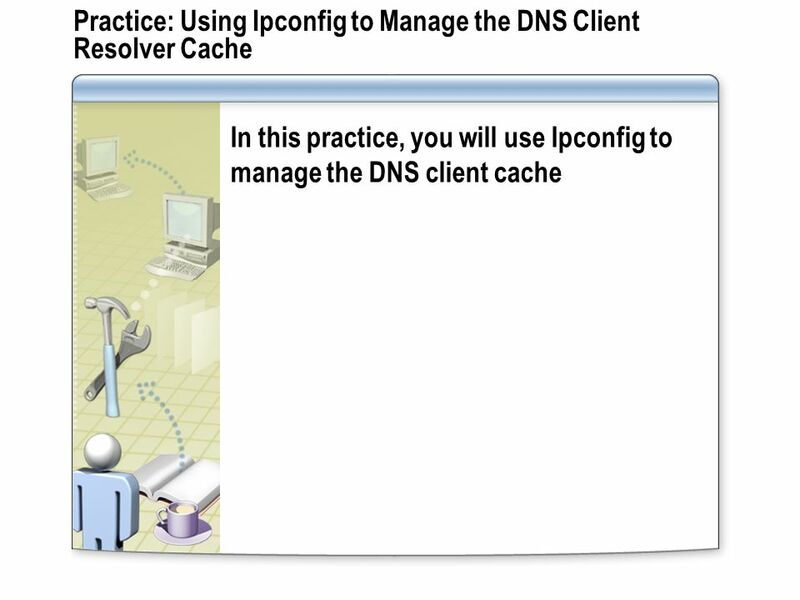 Module about private networks and NAT. 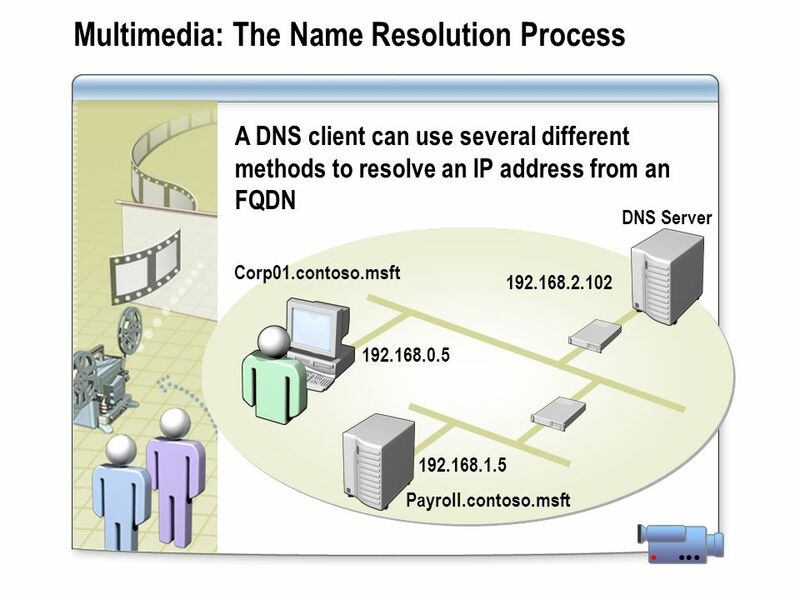 CCNA1 v3 Module 9 v3 CCNA 1 Module 9 JEOPARDY K. Martin Galo Valencia. 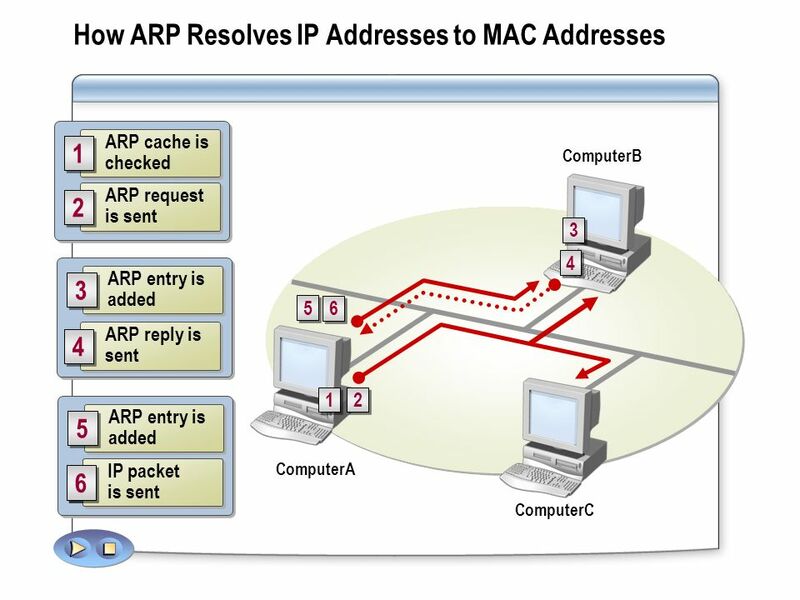 Media Access Control (MAC) addresses in the network access layer ▫ Associated w/ network interface card (NIC) ▫ 48 bits or 64 bits IP addresses for the. 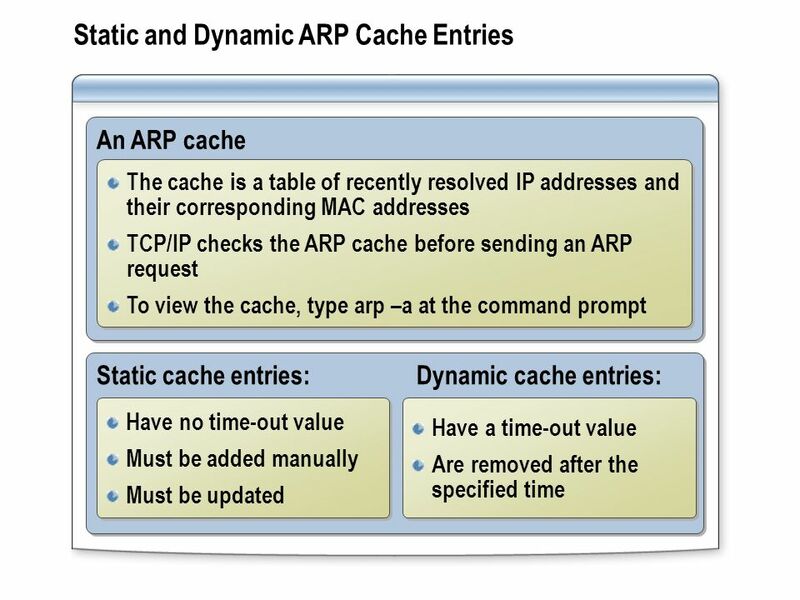 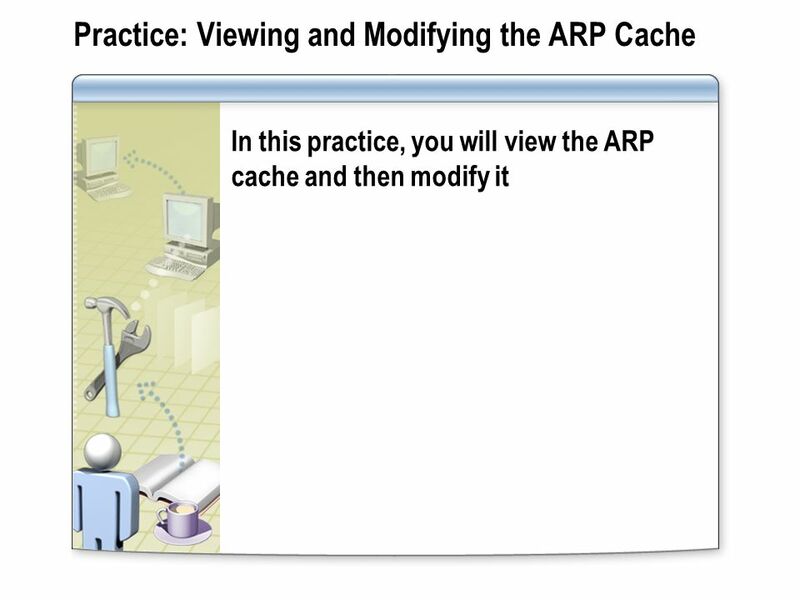  As defined in RFC 826 ARP consists of the following messages ■ ARP Request ■ ARP Reply. 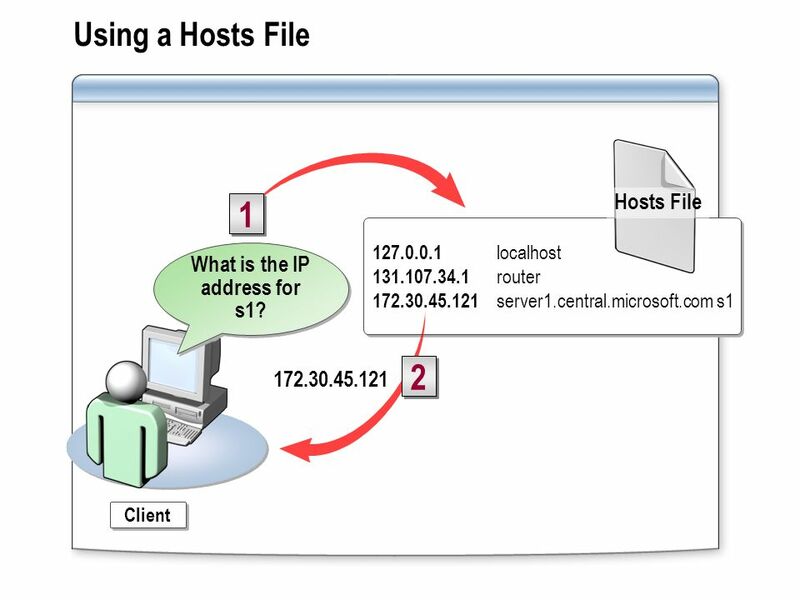 Helper Protocols Protocols that either make it easier for IP to do its job, or extend the capabilities of the network layer. 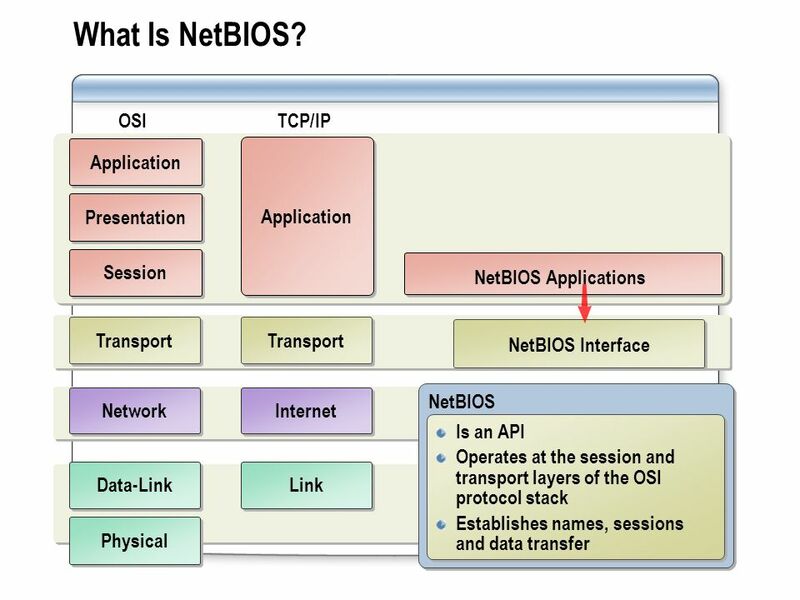 ITN N Mrs. Z. D. Bodwin1 Guide To TCP/IP Chapter 12 TCP/IP, NETBIOS, And WINS. 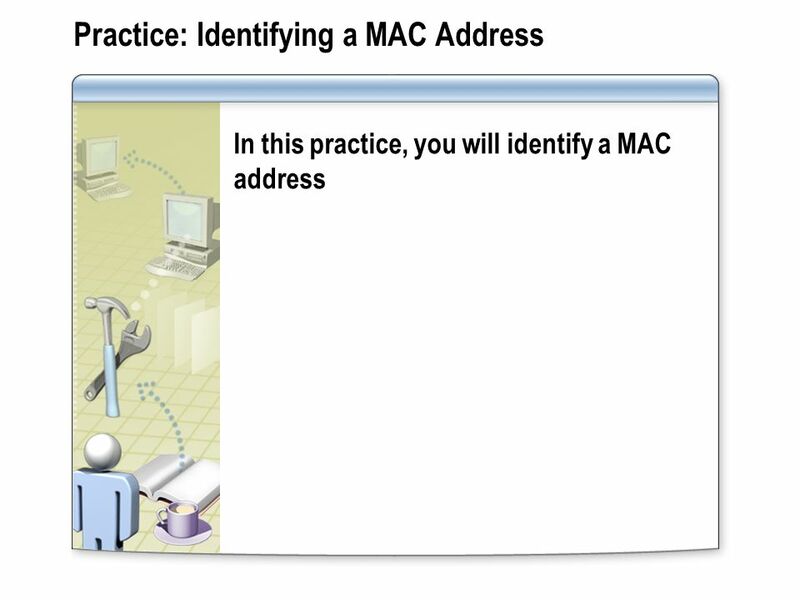 MCDST : Supporting Users and Troubleshooting a Microsoft Windows XP Operating System Chapter 13: Troubleshoot TCP/IP. 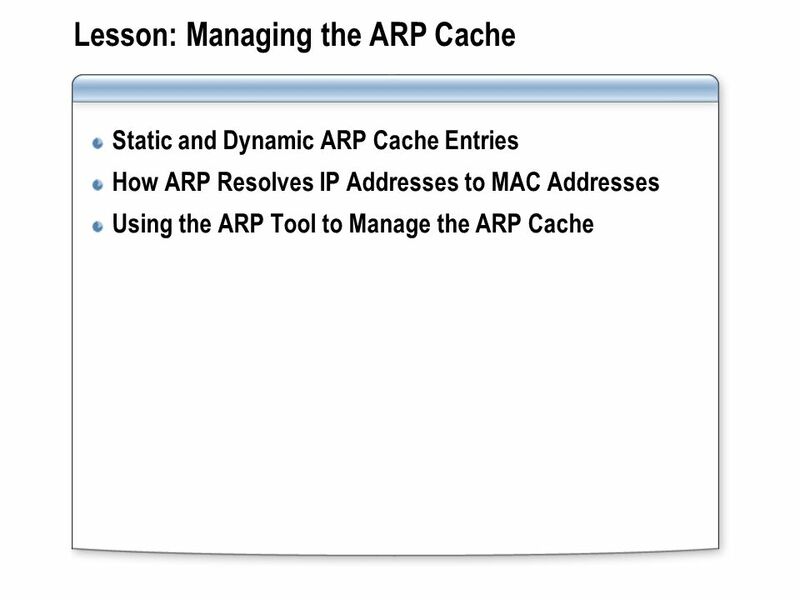 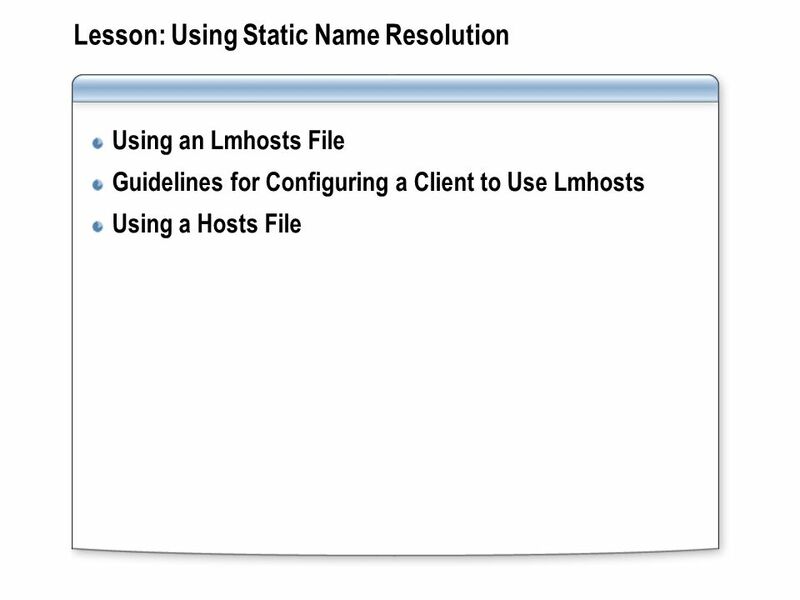 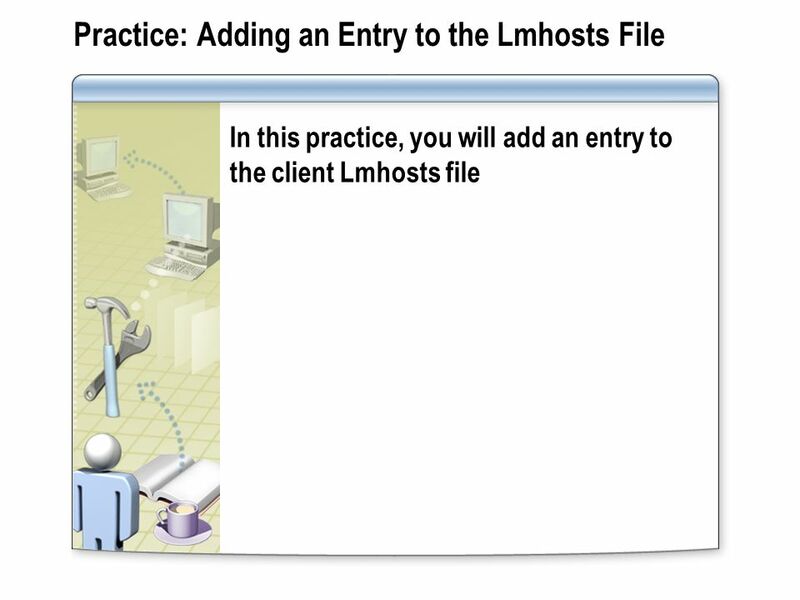 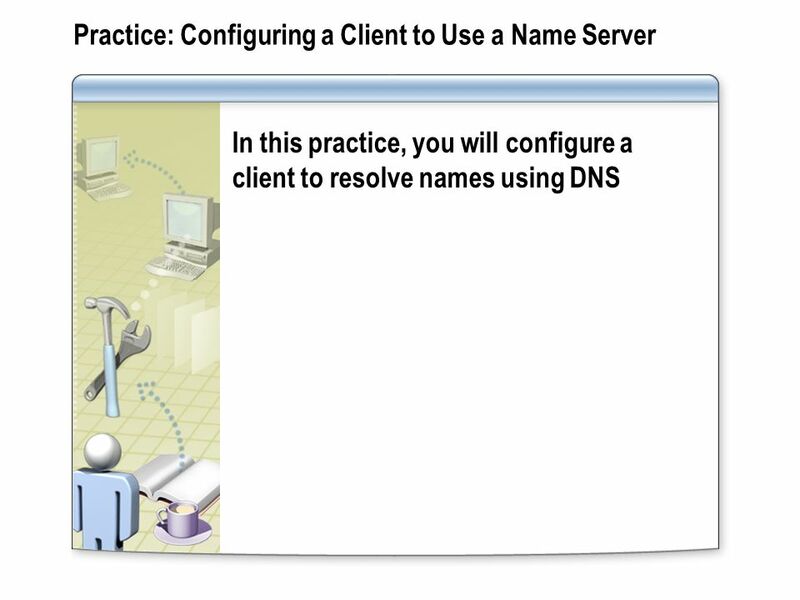 Hands-On Microsoft Windows Server 2003 Networking Chapter 7 Windows Internet Naming Service. 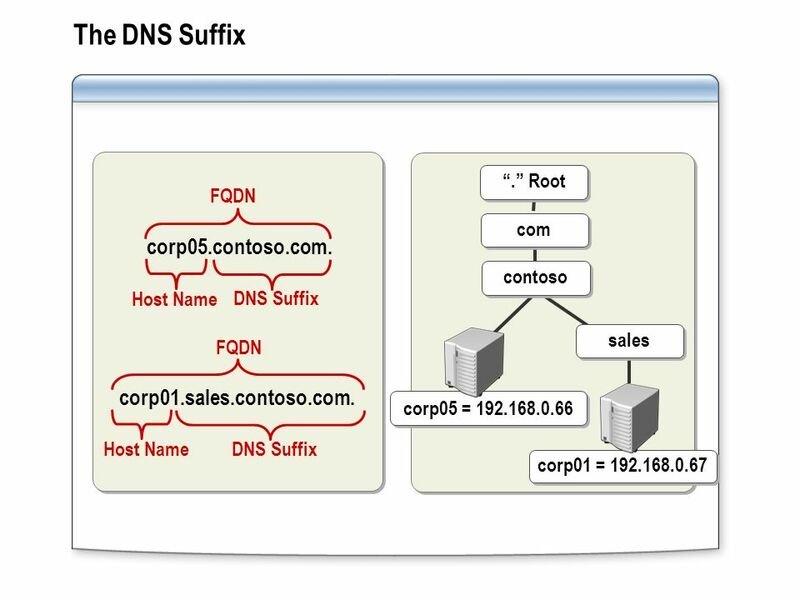 Chapter 8: Configuring Network Connectivity. 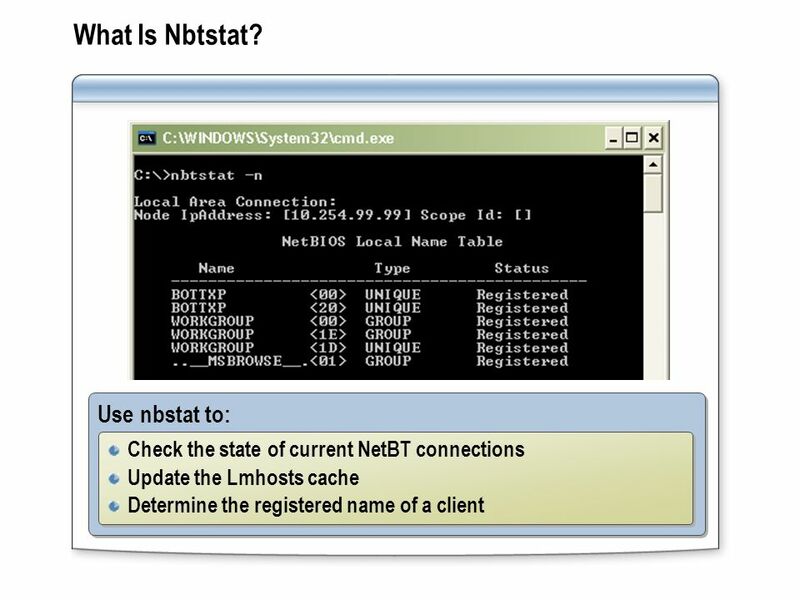 Installing Network Adapters Network adapter cards connect a computer to a network. 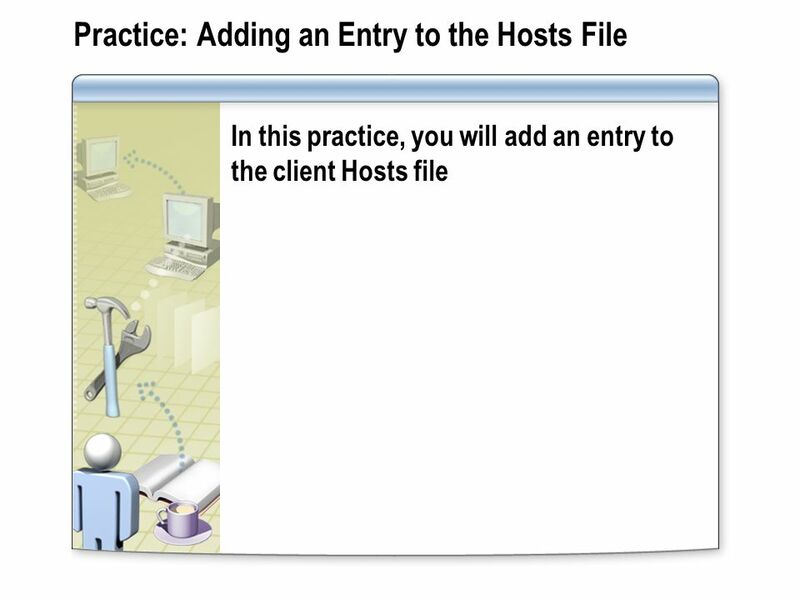 Installation –Plug and. 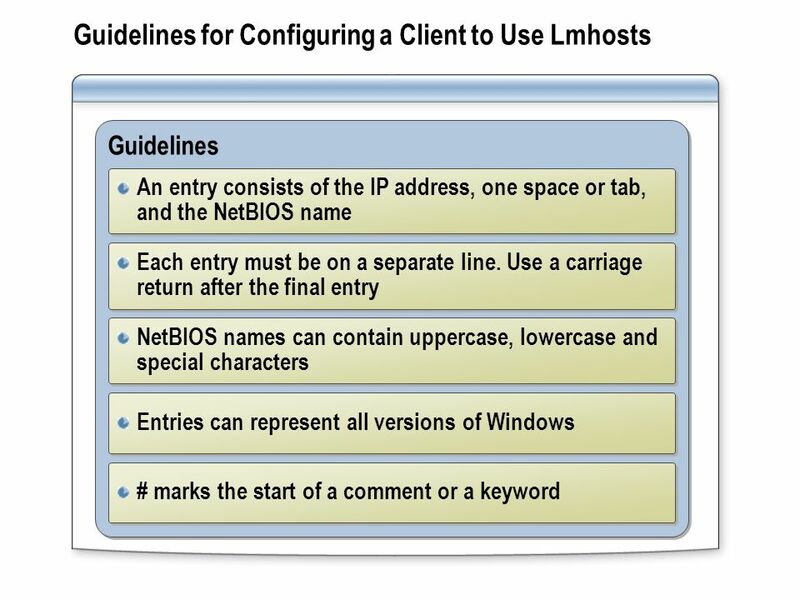 NetBIOS name resolution. 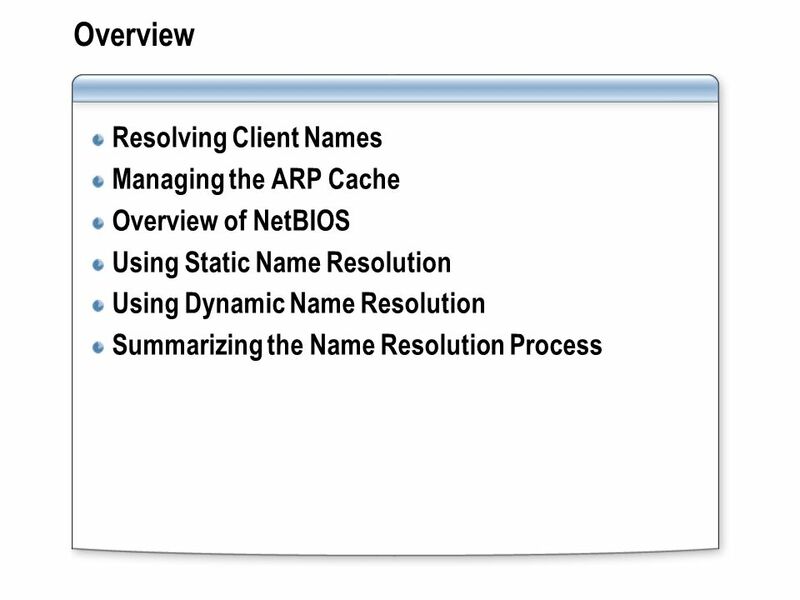 Name resolution  NetBIOS name resolution: mapping NetBIOS name to an IP address review of name syntax: machine name: \\mname.